AEONMALL Long Bien has coordinated with Hanoi Police Department and Hanoi People’s Committee conduct the large-scale firefighting rehearsal. 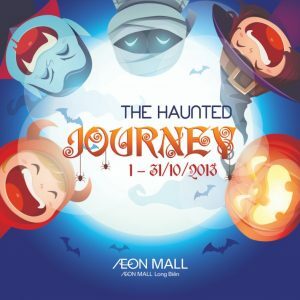 This is among AEONMALL Vietnam’s annual activities to equip escape skills to ensure the safety of all employees and customers in any case of an emergency. How do you feel if you are lost in an abandoned park with frightening atmosphere and everything is so scary? 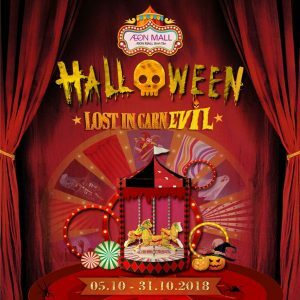 If you are passionate about discovering the mystery and curious about the ghost-related things, let’s go to AEON MALL Binh Tan to challenge yourself in Halloween 2018 with the “Lost in Carn-evil” event. 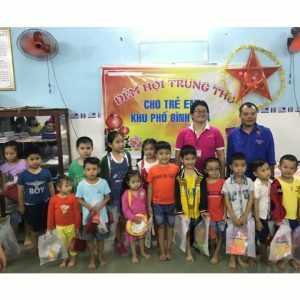 In a series of annual events during Full Moon Festival of AEON MALL Binh Duong Canary, Thuan An Communist Youth Union & AEON MALL Binh Duong Canary organized a trip to give gifts to children in Thuan An, Binh Duong. 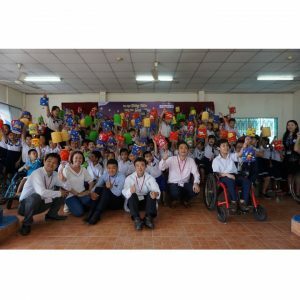 On the occasion of Mid-Autumn Festival 2018, on September 21st, General Manager of AEON MALL Binh Tan – Mr. Shinya Kawabata and staffs visited and gave gifts to disadvantaged children at Mai Son Chance Village Binh Tan, with the desire to bring them a warm and meaningful Mid-Autumn Festival. 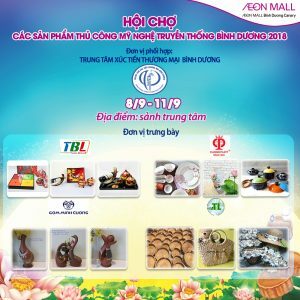 From 8th September to 11th September 2018, “The traditional handicraft fair 2018” will take place at AEON MALL Binh Duong Canary. 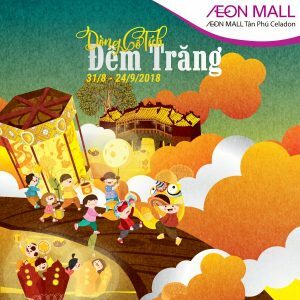 This shows the special interests of Binh Duong province as well as AEON MALL Binh Duong Canary in preserving the beauty of traditional handicraft. 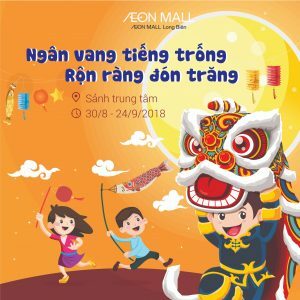 From 31st August to 24th September 2018, AEON MALL Tan Phu Celadon prepares many attractive decorations, promotion, event and activities for customers to celebrate the exciting Full Moon Festival. 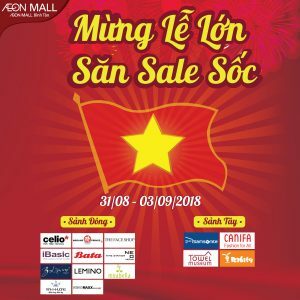 Let’s come to AEON MALL Binh Tan on the occasion of celebrating National Day 2nd September and join the big promotion with sale off up to 50%+++ from 31st August to 3rd September, 2018. 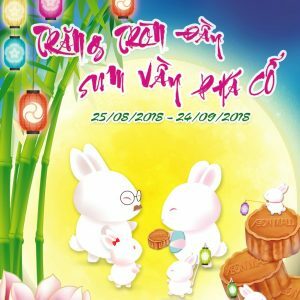 This Mid-Autumn Festival, let’s experience memorable memories and create meaningful moments with your families at AEON MALL Binh Duong Canary!